Upon arrival to Cairo for a stop over or layover you will be picked up by a professional tour guide to start your Pyramids and musueum Cairo transit tour. 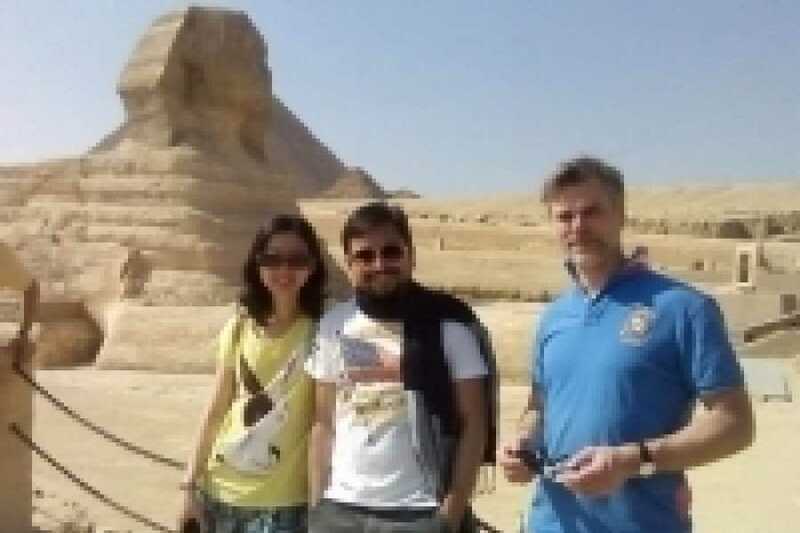 The tour will start with Pyramids of Giza and Sphinx one the remaining wonders of ancient world Your expert Egyptologist tour guide will accampony you during your tour and give you an insight of the buuilding history of those Pyramids and giving you your free time to wonder in the area. 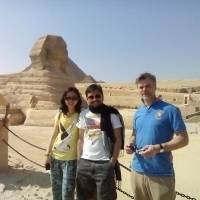 There will be opportunity to take memorable photo from the Pyramids plateau where you can have the three Pyramids at your background. Moving down the valley you will get a close look at the Statue of the Sphinx caarved into a big rock at the foot of the Pyramdis. If time permits at the end of your trip you can visit a Papyrus institute to see a demonsestration of how Papyrus paper was made in ancient Egypt. After this visit the Egyptian museum in Tahrir square which exhibits remarkable and priceless collectiions that cover all Egypt's history amongst them are the gold collection of Tut Ankh Amun, then transfer back to the airport for your nest destination. Pick up of the tour is from Cairo airport and you are only required to indicated your flight number, name and arrival time.